Are you feeling like your hair is thinning? Would you be interested in restoring your natural hair without surgery? Then you must attend the Evolutions Medical Spa Educational Event this Wednesday, February 23rd! Evolutions Medical Spa and Santa Barbara cosmetic surgeon Dr. Terry Perkins are pleased to introduce Laser Hair Restoration at our informational event. 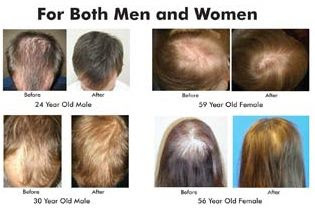 Hair Restoration Expert John Vincent will speak about this non-surgical medical hair therapy program that includes advanced low level laser treatments and prescription home care to help stop hair loss and re-start the process of growing your own hair. Exclusive Introductory Special and Partial Program Guarantee Available for Attendees. Evolutions Medical Spa Santa Barbara is located at 1309 State Street. Space is limited, please call Evolutions at 805-687-0212 to RSVP today.